For Norm Sham and Debbie Pappas, two of the most recognizable faces in Buffalo’s theater scene, the line between life and work isn’t always clear-cut. 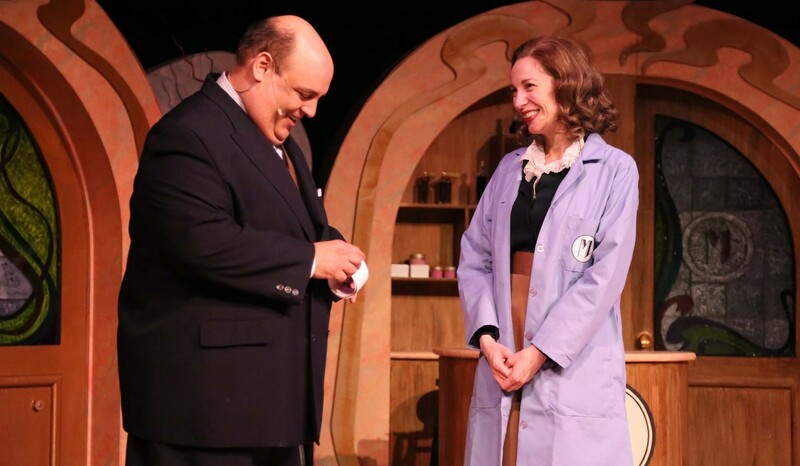 And never has that distinction seemed blurrier than in the Kavinoky Theatre’s production of “She Loves Me,” a romantic comedy opening Friday in which the Shams star opposite one another as co-workers who fall in love. Which is exactly what they are. Kavinoky Theatre Managing Director Joseph Demerly, who has known the married couple for 20 years, has long been eyeing this show as a vehicle for them, he said. Like many in Buffalo’s theater community, he watched admiringly as Sham and Pappas first fell in love during a 2004 production of “The Spitfire Grill” at MusicalFare, had their ups and downs, and finally married in August 2013. Norm’s proposal to Debbie, during a rehearsal for the Kavinoky’s season-opening production of “The Mystery of Edwin Drood” in September 2012, was caught on video and caused plenty of buzz throughout the theater community. For Demerly, the production thrives on its stars’ real-life relationship. In the show, the couple falls in love anonymously by exchanging letters about their shared love for art and culture, only to realize toward the end of the narrative that they already know each other and work together in real life. The fact that they can’t stand one another as co-workers – or think they can’t – provides much of the story’s dramatic thrust. Demerly said he’s taken some flak from the theater community for casting the roles with actors older than the parts call for, but stands by the choice as an ideal fit for both of them. For Pappas, there are plenty of moments during the show that echo her personal life with Sham. But her favorite, she said, wasn’t the big kiss at the end or any of the other intense scenes of love or longing. It’s just a simple line, delivered in the middle of a big number featuring the entire cast toward the end of the show. Where: Kavinoky Theatre, 320 Porter Ave.